Note: An interactive version of the pattern generator can be found here. Enjoy! 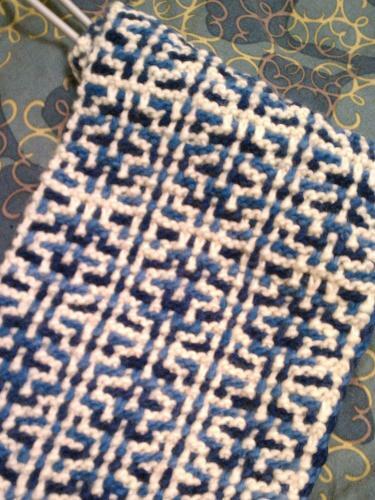 I became interested in the idea of generative knitting when I learned the "mosaic" technique of two-color knitting. 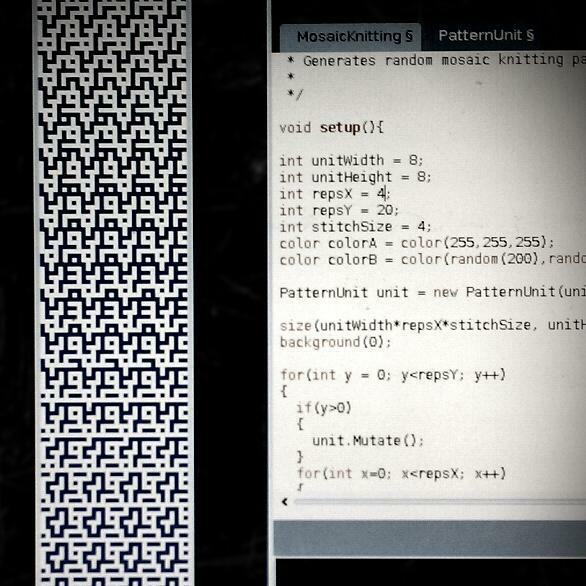 Not all two-color patterns are knittable using this technique, so I implemented an algorithm to automatically generate patterns that satisfy the constraints of mosaic knitting.